Receive Gemewizard's patented Color Search Engine software module complete with full API to easily incorporate it into your website. 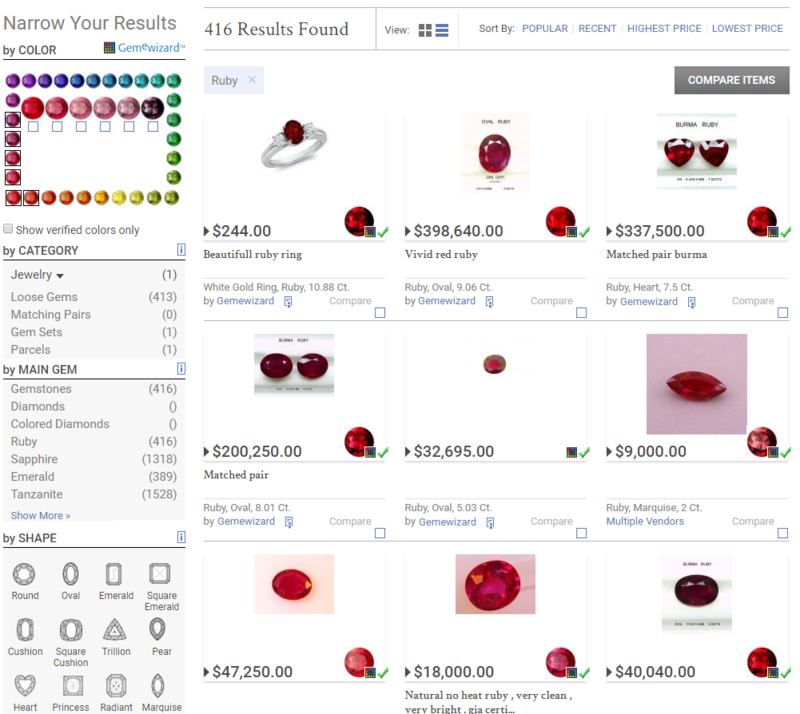 Gemewizard's patented Color Search Engine enables a significantly better shopper experience for the user in the online gem & jewelry trade, providing a real What-You-See-Is-What-You-Get experience. The Gemewizard's Color Search Engine speeds up the time it takes the user to find the right item. What usually takes several minutes, with GW a user can within 15 to 30 seconds locate precisely what he/she wants, a "Right the First Search" experience, and ensures that WYSIWYG to close the deal. Each gem type is compared against Gemewizard's 6000+ gem color combinations (arranged according to hue, tone and saturation levels). For each gem type, a map of possible colors is built. The script analyzes the item image, locates the gem within the image, and retrieves its 'Color DNA'. The Color DNA is then converted to a Gemewizard color and compares to the possible color mapping of the gem type.